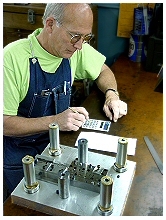 Highly experienced and trained tool room staff. Modern and fully equipped tool room. Wide variety of available tooling.